Pictured: Mayor John Tory rides down Yonge Street as part of the annual Bike to Work Day ride in 2016. Photo by Marlena Rogowska. Transform Yonge is the best option to reimagine Yonge between Sheppard and north of Finch Ave: for better transportation options, for safer streets, and for a more liveable downtown North York. This option would bring a host of much-needed improvements for all road users: wider sidewalks, protected bike lanes, trees, and outdoor seating to support a vibrant public realm. The alternative is essentially to keep Yonge St. as it is—a six-lane highway for cars—in favour of focusing on Beecroft Rd. which would result in a price tag $11-20 million heftier, depending on the configuration (e.g. sharrows instead of separated bike lanes on some sections of the roadway would reduce the cost). Transform Yonge is the only option that includes protected bike lanes in addition to a host of public realm improvements to accomodate a growing population and changing mobility patterns. Watch this video created by local advocate Chris Hoyle to find out why more than two thirds of speakers at PWIC including local residents, business owners, and community representatives support Transform Yonge. With a Staff Report strongly recommending Transform Yonge as the best alternative, we think it is the clear path forward - but not everyone at City Hall supports it. That's why we need to keep working to demonstrate why this project would benefit everyone - residents, business owners, people working on Yonge, older residents, and youth. 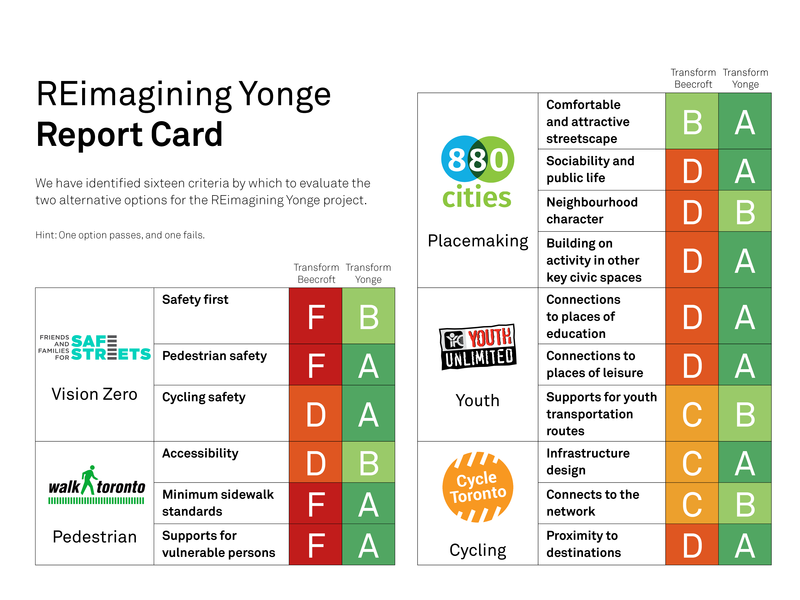 Knowing several councillors were going into the debate not having decided on which option to support, we worked with several partner organizations to prepare a REimagining Yonge Report Card to make the choice crystal clear. We strove to present a balanced case with 16 criteria, but still, Transform Yonge came out on top. Click here for more details on each of the criteria. A safer street for all road users. There have been 83 reported collisions between drivers and vulnerable road users in the study area since January 2010, a clear result of a roadway that is designed for motor vehicle traffic rather than people walking, riding bikes, and taking transit. We need wider sidewalks, shorter crossing distances, and protected bike lanes to prevent more traffic injuries and deaths. We'll get the most bang for our buck. This option would be eligible for both federal and provincial funding to cover a portion of the estimated $51 million cost. Alternatives would cost significantly more or not be eligible for federal and provincial infrastructure money. Putting off the necessary capital improvements indefinitely will only lead to higher costs down the road. It's good for business. Yonge St is identified as an employment centre in the City's Official Plan, yet the number of new businesses and jobs hasn't kept pace with an influx or residential units. The public realm improvements included in Transform Yonge would create a more attractive environment for local businesses to thrive. Impacts on motor vehicle traffic will be minimal. Detailed traffic modelling revealed an increase of just one minute in travel time on Yonge between Sheppard and Finch. Plus, travel behaviour is shifting from people driving to people taking transit (GO and TTC), ride-hailing, walking, and cycling. Transform Yonge would result in a street that accommodates this transportation mix. Transform Yonge is a visionary project for North York that would see a host of much-needed improvements: wider sidewalks, protected bike lanes, trees, and outdoor seating to support a vibrant public realm and a safer roadway. According to the staff report released on January 12, these improvements would cost an estimated $51.1 million, with the potential to be funded partially using federal Public Transit Infrastructure Funds (PTIF). The alternative is to make only minor improvements to Yonge Street in favour of focusing on a service road, Beecroft Ave, which would cost $20 million more and represent a missed opportunity to revitalize North York’s central corridor when it is in dire need of reconstruction. Transform Yonge is the only option that includes protected bike lanes in addition to a host of public realm improvements to accomodate a growing population and changing mobility patterns. 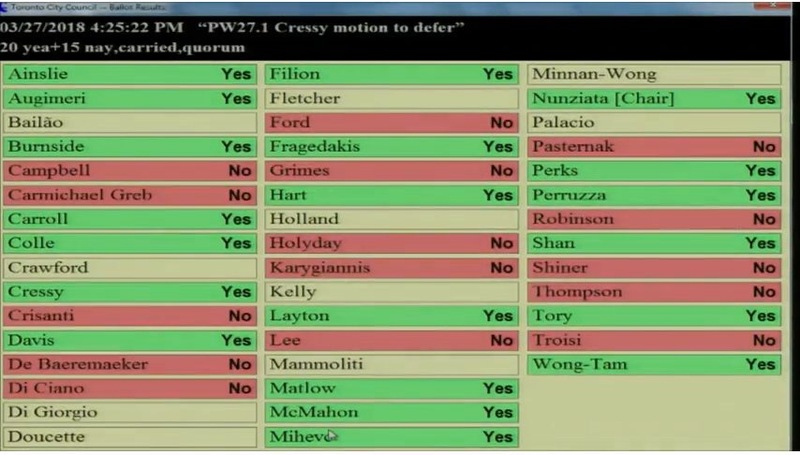 In order to get Transform Yonge approved, we need to show the Mayor that we support this forward-thinking project that supports safety, liveability, and economic development, and falls in line with existing plans (like the 10-Year Cycling Network Plan and Official Plan which guides development city-wide). 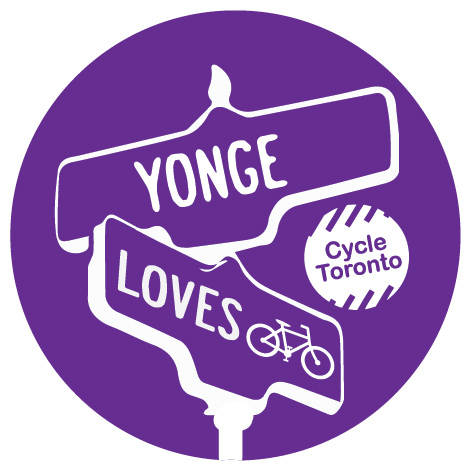 How has our Yonge Love Bikes campaign evolved? Read the full story.